Munk One | Alexisonfire | Official Farewell Tour Prints from MUNK ONE on Vimeo. 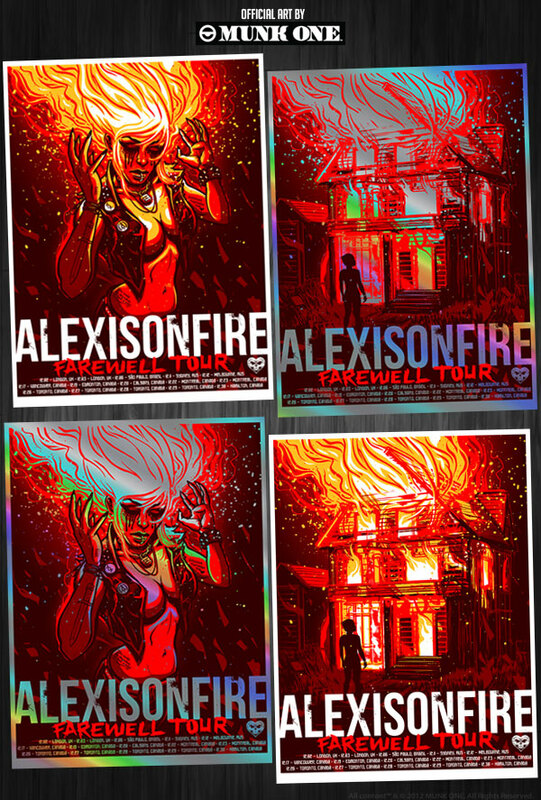 Official Farewell Tour prints for the band Alexisonfire featuring art by Munk One. Both Artist editions available in white stock or reflective foil, signed and numbered in limited amounts.